Not only a bottle cap opener but also a funny episode before drinking. It is surprise as a new drinking game, drive up the atmosphere before party, you can also send to friends as a gift, they will love it very much. 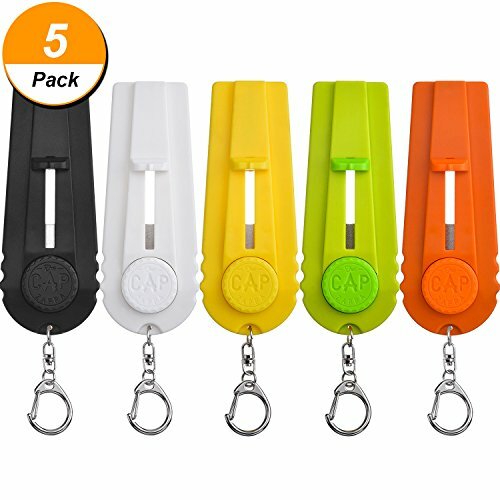 Made from durable and safe ABS, can use many times, no need to worry about the opener breaking from the plastic. About 12 x 4.8 x 2 cm, small size for convenient storing, won't take much space. With a key ring which you can hang it on your kitchen or other place for easy getting. This is not a toy, please keep away from children, suit for ages over 14; Please do not shoot the cap towards people. View More In Bottle Openers. If you have any questions about this product by Mtlee, contact us by completing and submitting the form below. If you are looking for a specif part number, please include it with your message.